Single Family Residence, Colonial - Harwich Port, MA Move right in to this superb turn key home with peeks of Saquatucket Harbor and a 5 minute walk to Neel Rd beach. Fabulous open concept living with stunning cooks kitchen, great room with gas fireplace and large dining area. Mesmerizing first floor master with spa like bath with lounge area and private balcony. First floor laundry and powder room complete the first floor. Second floor offers three additional bedrooms and two baths. All the new and modern conveniences and amenities are present throughout this beautiful home. Gas heat, central a/c, wood floors, custom tiling and multiple decks overlooking pretty back yard. 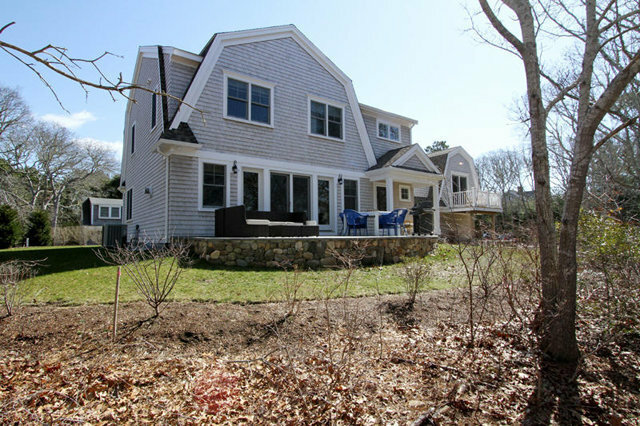 Such a great home to begin your Cape Cod Memories with family and friends.